Phil Robertson has been suspended from Duck Dynasty reality show following anti-gay comments he made in an interview with GQ magazine. 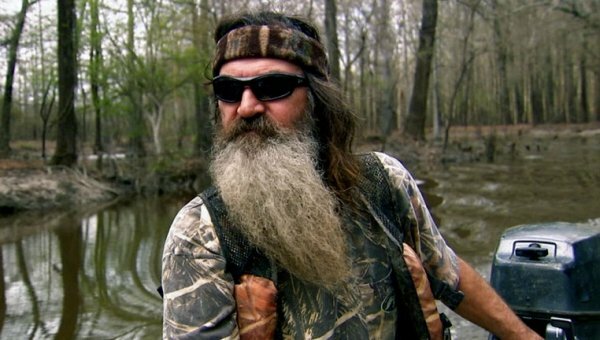 A & E Networks said in a statement that the Robertson family patriarch had been placed on indefinite hiatus. “We are extremely disappointed to have read Phil Robertson’s comments in GQ, which are based on his own personal beliefs and are not reflected in the series<<Duck Dynasty>>,” the company said. Phil Robertson has described himself as a product of the ’60s who engaged in the s**, drugs and rock ‘n’ roll lifestyle, but has since embraced Jesus Christ as his savior. “Phil and his family claim to be Christian, but Phil’s lies about an entire community fly in the face of what true Christians believe,” GLAAD spokesman Wilson Cruz said.